Funny wifi names are the list of wifi names, which you can keep for your network SSID. I've covered the world's most extraordinary funny wifi names list on an Internet. So, you will find the ultimate guide here. 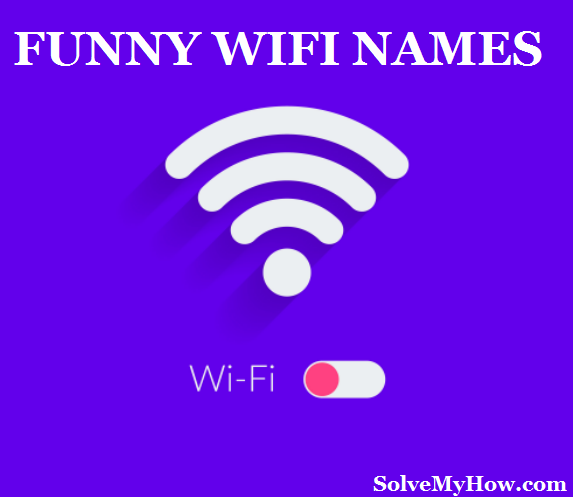 You can also pick up some funny, amazing or best wifi name from the below list and set it as your mobile hotspot name. So, when you share this with your colleagues, bet me you both will really laugh out loud of this. These days restaurants, railway stations, airports have wifi hotspots and you will always find some unique wifi names there. I've also mentioned that too, in the below list. Now let us quickly go through the list of funny wifi names 2018. So, these were the top funny wifi names 2018 - The only unique list on an Internet. Before you decide your wifi name either by selecting it from the above list or you may come up with your own. But there are few guidelines, I would like to share with you all. So above are the 4 tips you should definitely consider before choosing wifi name/Network SSID. As long as you are considering above tips there is no need to worry about anything. 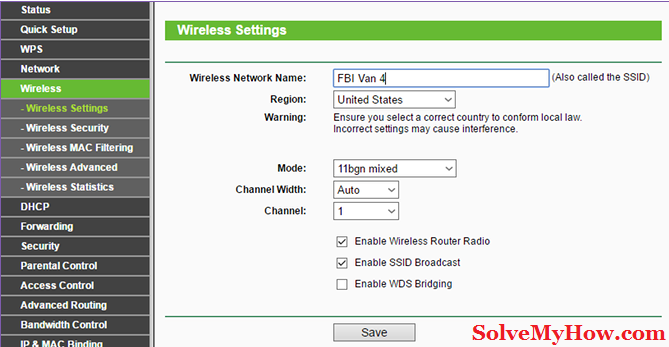 How To Change Wifi Network SSID? Now, you have decided the Wifi name but you must be wondering how to change the Wifi network SSID? Well, for that you have to follow below mentioned steps. AS you all know, every router has its own admin panel. So, you just have to open and login to it! Here, I'm giving you the example of TP-Link router. So, go ahead and open a command prompt. Simply type "command prompt" in the start menu. You will find IP of your PC named under "Default Gateway". This is my router IP address. You will also find it on your actual router. Its always written on the back side of the router. Now, Copy and paste this IP in the web browser. You will see router login screen. Simply enter the username and password. By default, the username is "admin" and password is your "mobile no."! Now, once you logged in to your router. Look for "wireless" option. you will find it on the left side navigation menu. Note: It could be wireless, wireless networks, Wi-Fi, Wireless settings. Simply, click on it and go into >> Wireless settings. Now, you will find wireless settings page. Here, you will find, "wireless network name". Go ahead and edit it. It's that simple. Simple choose the wifi name from the above list and paste it here. At last, just click on "save" to save the new settings. So, now you have successfully changed your network SSID and kept some cool, amazing or funny wifi name. So, this was all about the list of funny wifi names 2018, the only unique list on an Internet. I hope you enjoyed reading this list and found it worth sharing with your social media friends on Facebook, Twitter and Google Plus. So, which wifi name you decide to keep from the above list. Is it funny wifi name? Is it cool wifi name? or Is it awesome wifi name? Do let me know in the comments below. You can also share your own funny wifi names on your router or hotspot. I would love to add it to the above list. Don't forget to subscribe for SolveMyHow newsletter to get latest updates on hacking and tech, right into your inbox!